If you talk to Team aSweatLife for more than 20 minutes, you’ll inevitably hear one of us say “everything is better with friends.” It’s true — and it’s one of the guiding principles of aSweatLife, both in terms of how we plan our events and how we decide who to partner with. We’ve worked with a lot of partners since we launched in July of 2012. Through that, we’ve made a lot of friends over the years and with these friends, we’ve been able to accomplish so much, like field trips, workshops, workouts in unusual places (hi, HIIT at the top of the Willis Tower and workouts at museums), and of course, #SweatworkingWeek and its grand finale, the Fitness Festival. By working with us, you’ll be able to impact any of our three core communities — our aSweatLife readers, our Chicago trainer community, and our aSweatLife ambassadors. Whatever you’ve got in mind, we’re excited to work together to create something incredible. Below, we’ve listed our current partnership opportunities and the best ways to reach us. Want to advertise with us? We’re here to meet your goals. We can work together to create sponsored content using our online, email, and social channels. Write us at [email protected] to start a conversation about collaborating. Want us to speak at your event? We create and lead workshops centered around helping attendees to live their best life. Some of the topics we love to talk about include building healthy habits in your daily life and the workplace; happiness and value-based goal-setting; and facilitated networking. We’re also happy to build a talk around you and your team’s needs. Write us at [email protected] to kick things off. Want to have a presence at one of our monthly events? In addition to the occasional one-off event, we host a minimum of three events monthly: #Sweatworking, #TrainersConnect, and a workshop for the aSweatLife Ambassadors. We love hosting these events at the latest and greatest Chicago studios, and we’re always looking to feature new and unique products in our event goody bags. Think that’s something you’d like to be involved with? Let us know at [email protected]. Want to be on our #WeGotGoals podcast? We’re always looking for high-achieving goal-getters with a unique perspective on goal-setting for our listeners to learn from. Email our producer, Cindy Kuzma, at [email protected] with your story. Want to write for aSweatLife.com? After reading this page that outlines what we’re looking for in a team writer, show us your interest via this Google form. Keep in mind that we don’t typically accept one-off guests posts, but we’re always open to adding talented writers to our rosters. Want to create content with the SweatWorking app? If you’re a trainer who wants to become a SweatWorking app coach, you can get started here. If you’re a gym owner who wants to learn how SweatWorking can grow your business, reach out to [email protected]. If you’re a brand or business who’s interested in creating a customized challenge or reaching our app users in other memorable ways, talk to us at [email protected]. Want to interview Jeana Anderson Cohen? Jeana Anderson Cohen founded A Sweat Life (formerly Fab Fit Chicago) in 2012. Since then, she’s grown it from a one-woman blog to a full-fledged media publication with three full-time employees, dozens of writers around the globe, and over a hundred ambassadors. 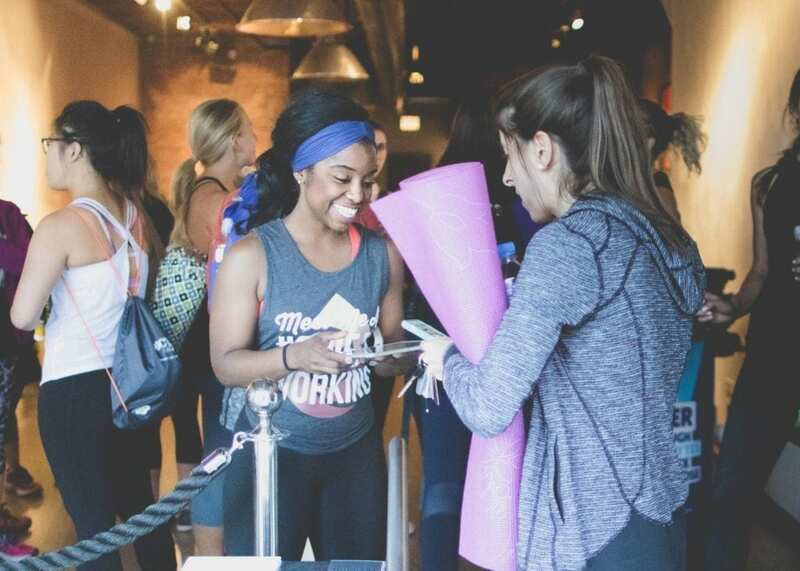 In addition, she’s transformed aSweatLife from an online-only community to a tour-de-force of Chicago fitness and wellness by hosting monthly #Sweatworking events and a twice-yearly #SweatworkingWeek. In her spare time, Jeana, Kathy Lai, Nikki Desai and Jeana’s husband Justin Cohen co-founded the SweatWorking app.